Minimal Pairs Puzzles for t and s sounds - Fun Speech Therapy Activity! 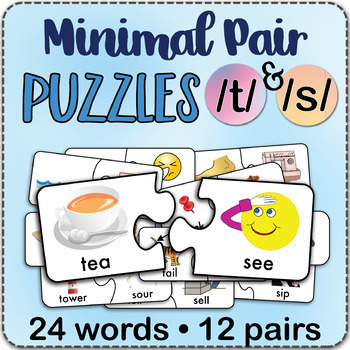 12 minimal pairs of initial /s/ and /t/ words are converted into 24 puzzle pieces. Each puzzle design is unique and only the paired words will go together. This PDF contains high-quality graphics, and all pictures are clearly labeled. Depending on the child's age or cognitive level, you could lay out all the puzzle pieces at once for the child to find matches (and practice saying the targeted words) --this is better for kids who are older or those who have a higher level of mastery. For kids who are younger or those who have just started working on these sounds, I would just lay out a couple pieces at a time for him/her to make a match and practice saying the targeted words. Simply print and cut. 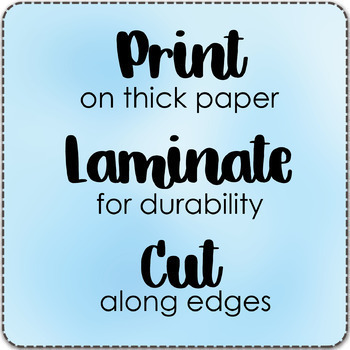 If you have extra time, laminate the pages prior to cutting for increased durability. Print on heavyweight cardstock if possible. My pediatric clients love these puzzles and I hope yours do too! 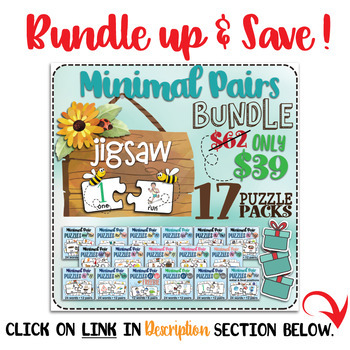 Get this puzzle and many others at a HUGE DISCOUNT by clicking HERE. THIS PRODUCT IS FOR PERSONAL/CLASSROOM USE ONLY. Distribution (sharing), selling, modifying, or using any part of this product for commercial use (e.g., for profit) is prohibited. All copyrights belong to Annie Darafeev, MA, CCC-SLP.